I really like this hat. The embellishments really make it extra pretty too! Hello Suzetta - my granddaughter and I were going through pictures of hats this morning, so I could make her one. We both LOVE the May Flowers Hat. I am a new crocheter (can do the stitches in your pattern). Circumfrance of head is 21". Does this pattern need to be altered, and if so where (I don't know how to do that). My granddaughter is 7 and of course thinks she'll have the hat by tomorrow. Thanks much for any help you can give! Such a cute hat!! The small should fit a 21 inch head. If after wearing it stretches and seems to large you could run some round elastic through the stitches on the back side. Just follow the pattern as written. What an adorable hat! I just found your May Flowers pattern. It would be so cute on my granddaughter and her two sisters (in Puyallup). I'm going to be very optimistic and try to knit three of these before Easter! Thanks! 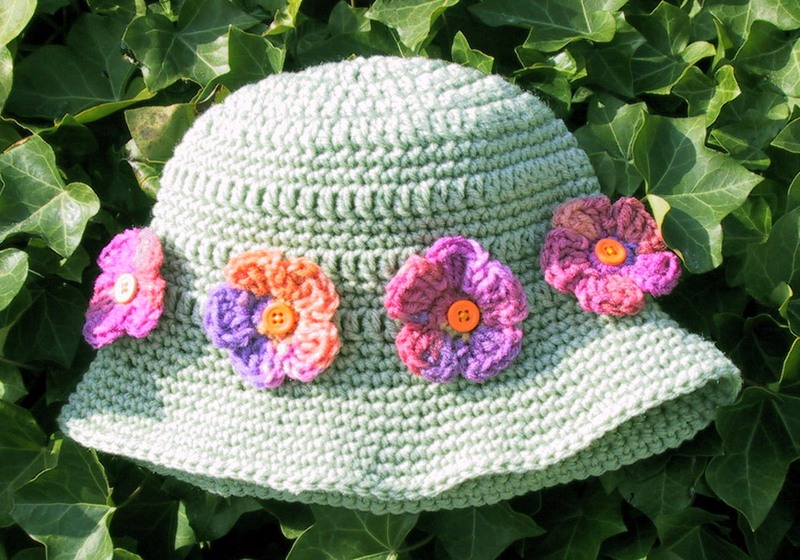 Love the May Flowers hat! 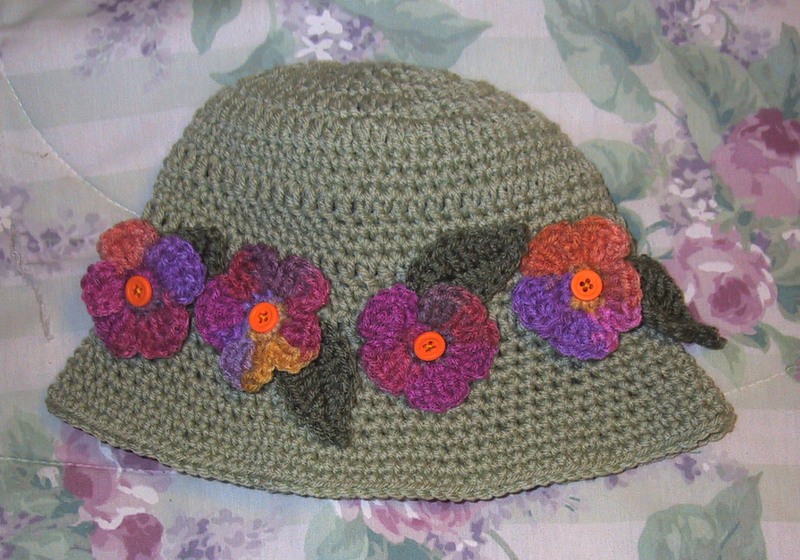 Is it okay to use your pattern for charity chemo hats? Yes, any of my patterns are okay to use for charity.